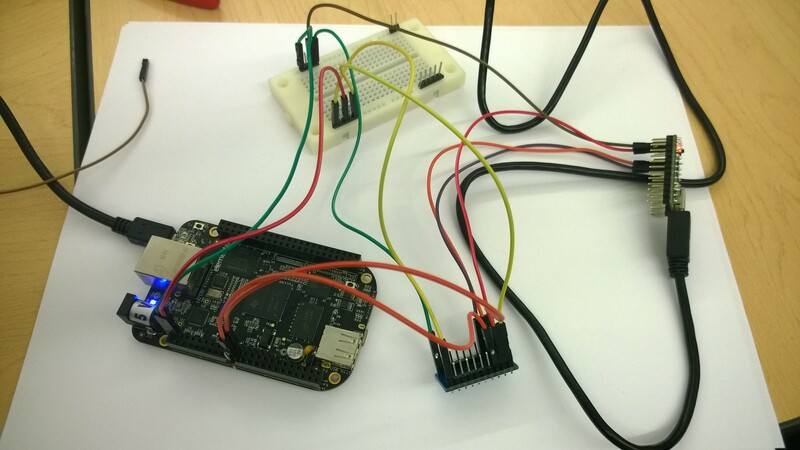 Using the TXB0108 Logic Level Shifter this quick start will show how to connect a UART channel between Beagle Bone Black (logic level 3.3V) and a Teensy 2.0 (logic level 5V). To validate the connection we will send an “a” from the Beagle Bone Black to the Teensy 2.0 and the Teensy will automatically respond with “Hello World”. Solder male header pins on the module. If you have not assembled the Teensy 2.0 board yet, do it now. *Note: You must have a common Ground between all devices. I used a breadboard to make a common ground node. 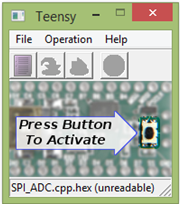 Load the example code RS232.hex on to the teensy using the Teensy bootloader. 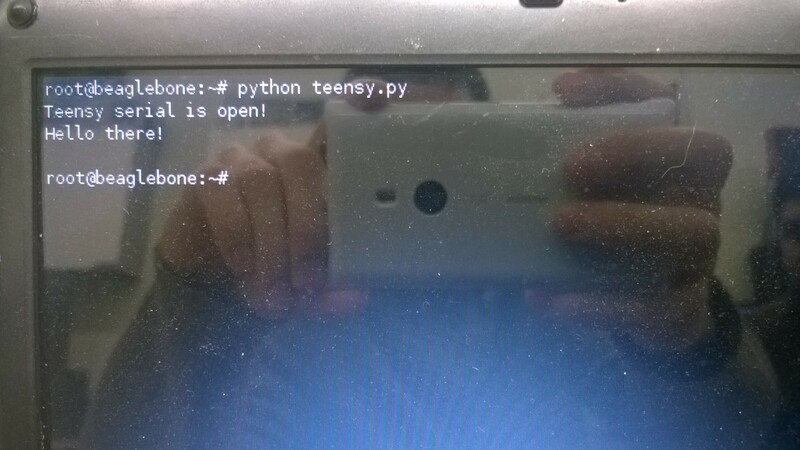 Open Putty on your PC and connect to your BBB. If you do now know how to connect your beagle bone via Putty, follow this tutorial. Congratulations you have successfully used the TXB0108 Logic Level Shifter to make a UART channel between your BBB and Teensy 2.0!